Sometimes, even the most basic of tools can be useful for online businesses. 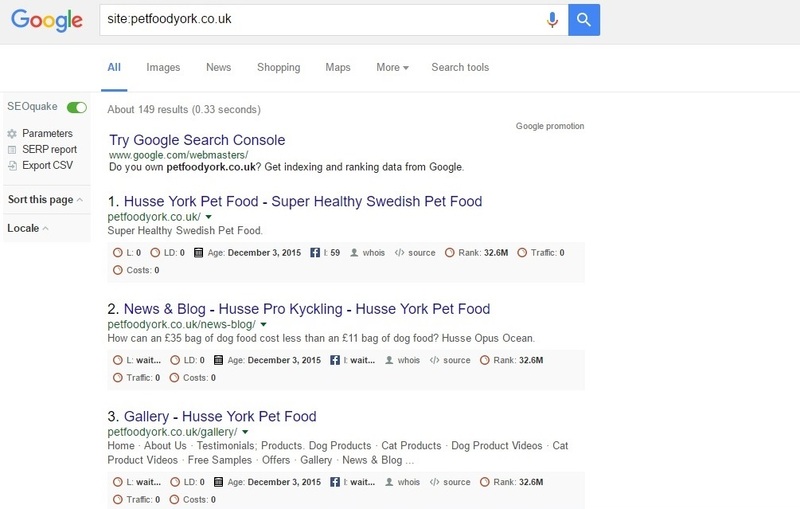 When it comes to performing SEO for E-commerce sites, Google itself happens to be one of those tools. When used correctly, it can be a powerful weapon in any marketer’s arsenal. 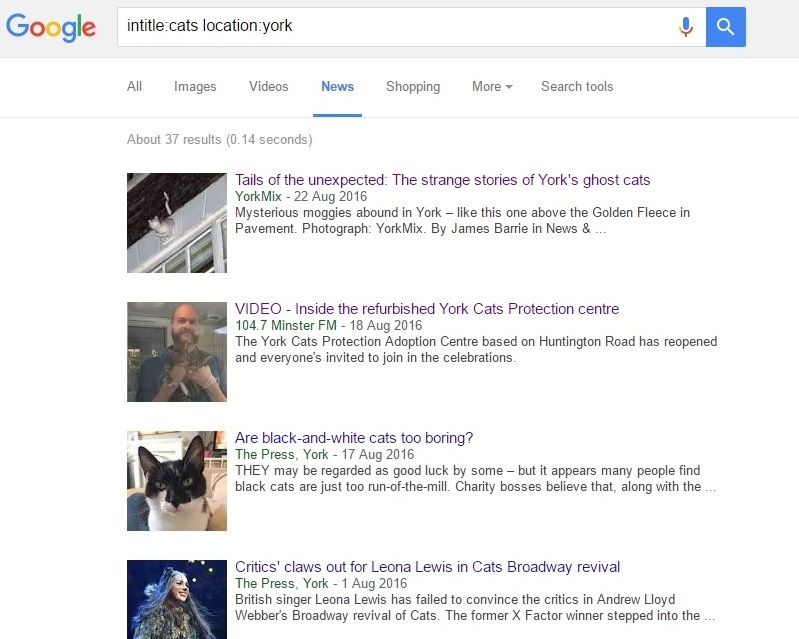 Let’s assume we’re going to use advanced Google queries to help a pet supplies site establish themselves in the York area. 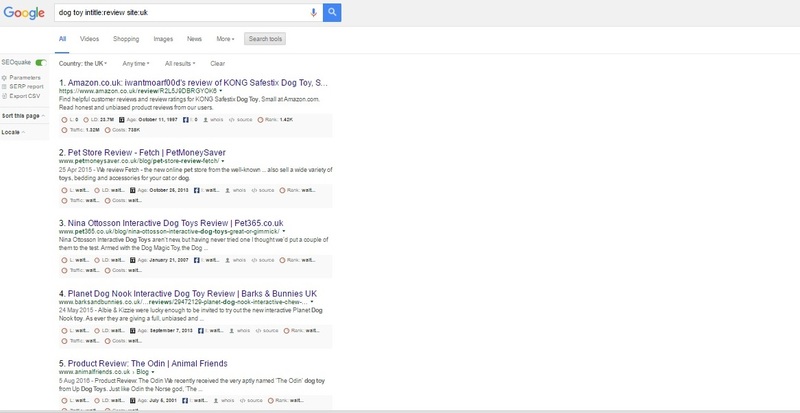 Protip: install the seoquake bar to allow yourself access to more detailed information from Google search results. Make sure that you turn off Google-specific metrics like index status, PR and cachedate. Otherwise you may receive the dreaded Google ban alarmingly quickly. Using the ‘searches related to’ feature at the bottom of Google, SERP results has been known of for a long time as a viable way of doing keyword research, using Google itself. Although this is already a well-known feature, it can also be scaled relatively easily. This is due to the conventions Google uses to generate its search URLs. We’re then going to go to those pages and open the suggested searches on those as well (start on the rightmost tab and then use the ctrl+pgup shortcut to makes things easier for yourself). Do this a few times, as long as your browser can deal with it. Once you’ve got a number of tabs open, use a tab copier to get them all into Excel. When you’re done, right click on a tab way over on the left and choose ‘close all tabs to the right’ to get rid of them quickly. Then, start afresh with a different seed keyword. Once you have a decent number of query strings in Excel (they should look like this). Use find+replace again to replace all the ‘+’ signs with spaces. Voila! Semantic keyword ideas from Google themselves. And certainly more efficient than manually copy and pasting them all! Depending on the nature of the searches, you may encounter difficulties with CAPTCHAs. However, as long as high quantity research is not required, this shouldn’t be a problem. One of the easiest ways to check for index bloating issues caused by duplicate content is simply to use the site: command. This can be used to check Google’s raw index against the sitemaps/URL lists that you have yourself; any large discrepancies should then become apparent. 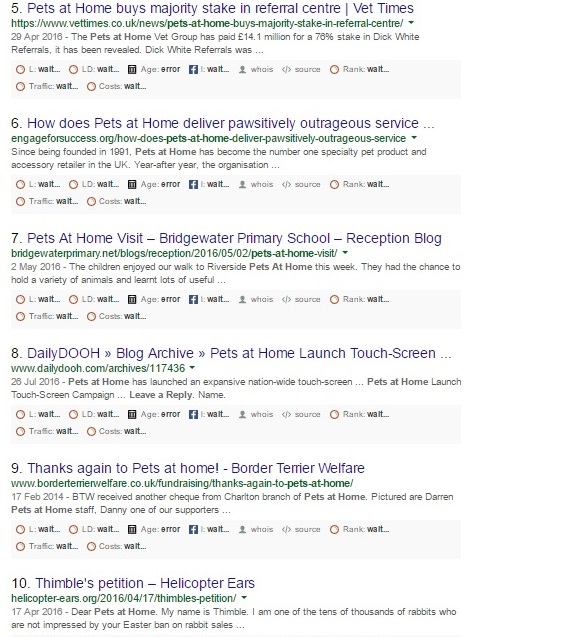 Likewise, when pages are not getting indexed as they should do, this can be a useful quick check. 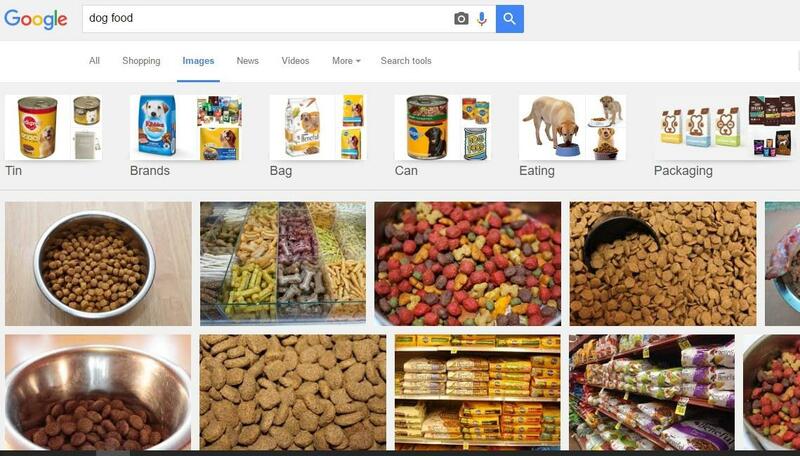 In this instance, 20,000 results for Amazon’s pet section seems about right. 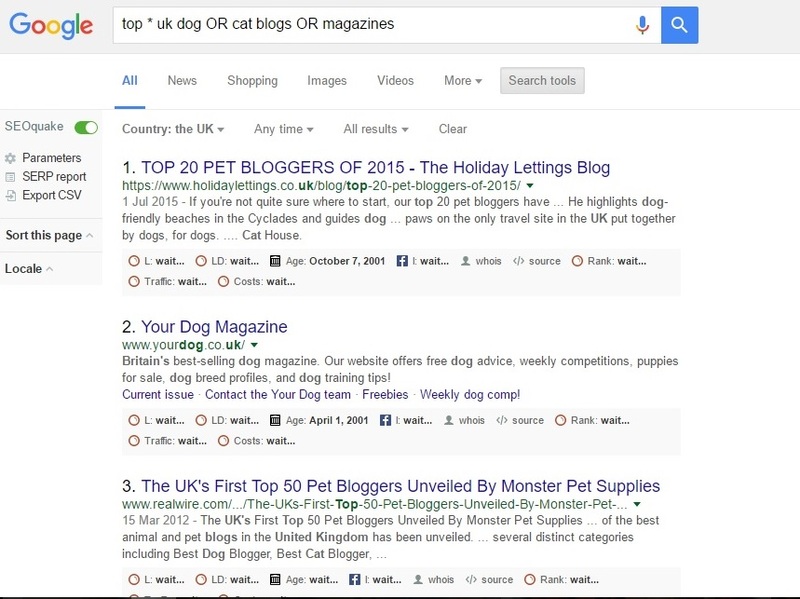 Initial options for competitor research would be simply Googling for short and medium tail local phrases such as ‘dog toys York’ and broader national terms with commercial intent (buy cat food, cheap dog nutrition) to find competitors to research. Additionally, we can also use the related: operator to find numerous other opportunities for backlink analysis, content comparisons and more. 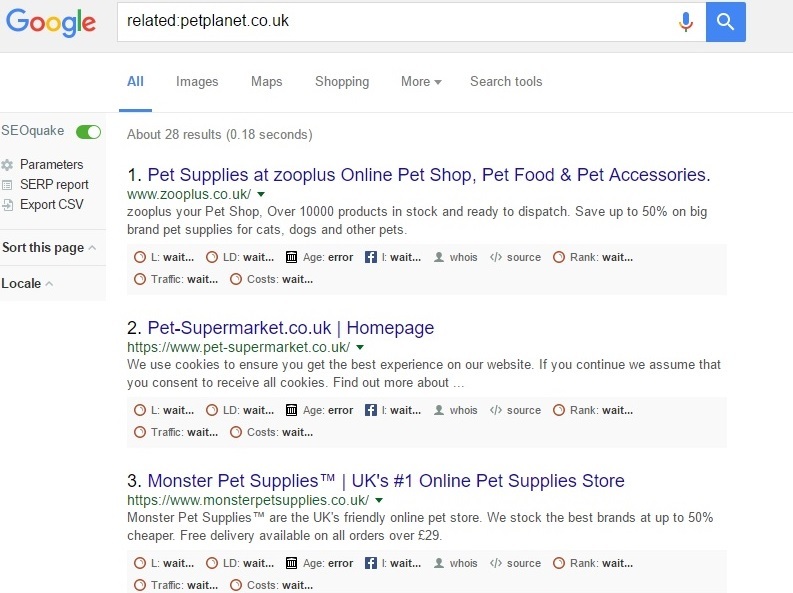 This allows us to get some information not available through crawlers such as Screaming Frog (such as social shares, domain age and SEMrush information) at a glance, we can also see if they are using webmaster tools by seeing whether the Google promotion SERP snippet is there (in this instance it is). If we ignore the Amazon result that comes up first, we should hopefully have something to work with there. Given the well-publicised demise of guest posting, product reviews remain one of the best ways to promote E-commerce sites via the blogging community. Just be sure to target higher-traffic domains (using SEMrush) to offset the best practice recommendation of nofollowing the review links. Googling “high PR directories” or keyword + “submit URL” isn’t going to cut it anymore. Non-local, non-niche-specific Directories built specifically for the purposes of PageRank manipulation died a long time ago. 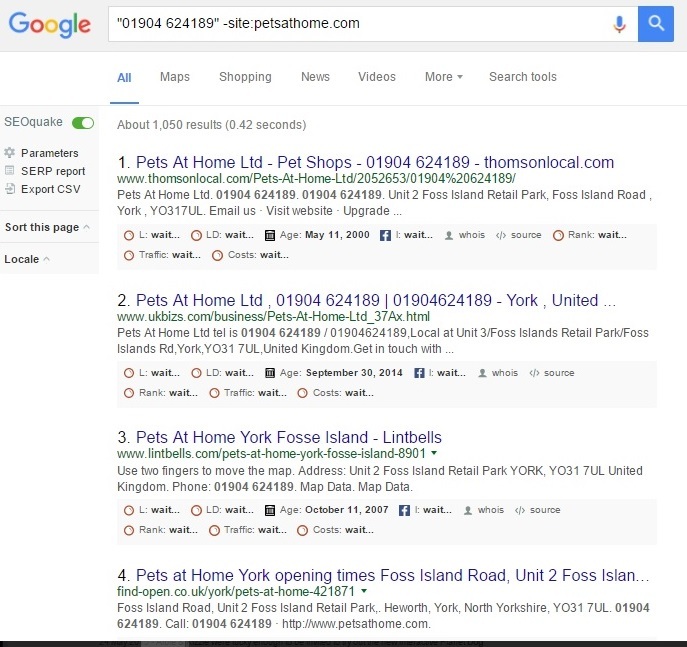 What we need are genuine, local business listings that consumers will actually use, so we’re only interested in citation prospects that rank on page 1 for real search terms to ensure they have at least a decent amount of traffic from Google. 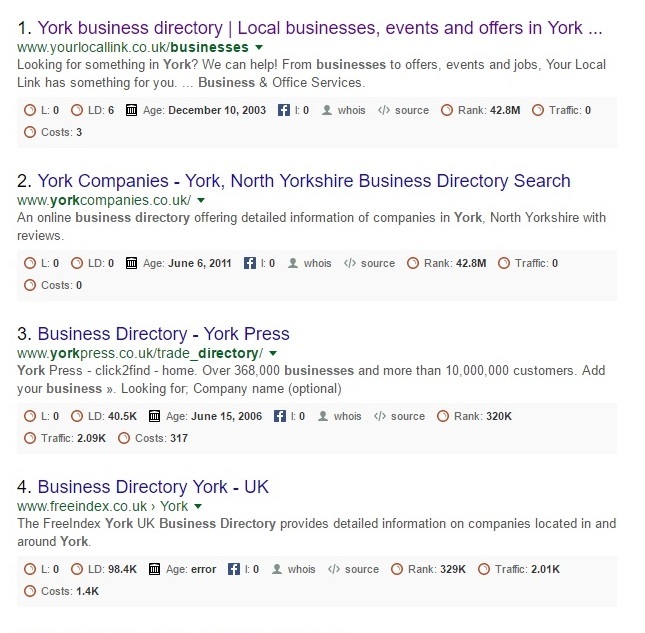 If I search “business listings York” for example, the following come up (once I go past the ad listings). Alternatively, by simply taking a competitor’s phone number (or address) and using the –site: query to exclude their own domain from the results, we can source local citation links without too much difficulty. For both this and the product review method mentioned above, you may wish to install the bookmarklet Chris developed in order to expedite the process. Ideally, a Google search would be performed initially (as well as a reverse image search) to deal with all existing attributions, then Google alerts/mention.net would be utilised to observe future brand mentions. On closer inspection, the domain is a Trustflow 35 local news site that has made it into Google news. This provides us with a possibility of acquiring a powerful local link. OK, so this is a bit of a cheat as we’ll be using Google indirectly, through the excellent Creative Commons image tool from Bad neighborhood. The reason being that if we were to write the search (below) in manually, it would take a really long time. If you’re struggling to find enough images to improve the aesthetics of your E-commerce site though, this might just do the trick. The query string indicates that Google is finding images that are free to use under Creative commons, which can be great for finding good quality, non-watermarked images legally. However, it’s always wise to check the exact attribution and use restrictions on such images to make sure they can be used. In the example below, the cc_noncommercial text in the URL would need to be changed to cc_commercial to help facilitate this. In the E-commerce sphere it would by near-sighted to rely solely on free tools and methods for either national or local marketing purposes. However, with a degree of lateral thinking we can make Google work for us to perform numerous helpful tasks. If you find all of this a little daunting, give the A51 team a call and we will see how we can help you and your website grow into a successful E-commerce business.